Until now, many people have used Hadoop for its advantages. However, developers and users are realizing that Hadoop has its limitations. It cannot combine all data effectively and provide performance with ease of use. Customers are deploying modern alternatives like Snowflake to combine semi-structured (JSON, AVRO, XML) and structured data effectively, and provide quicker and easier access to data for the Analyst community. Saqib Mustafa currently works as Director Product Marketing, at Snowflake. 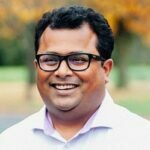 He has held various responsibilities in the past, including Cloud Data Warehouse Sales Partner for North America, Program Sales Manager for Storage, Server, Virtualization, Cloud Product Manager and Data Center Products, and Professional Services delivery. He has also enjoyed experience in various organizations like Teradata, CDW, Shell Oil worldwide.